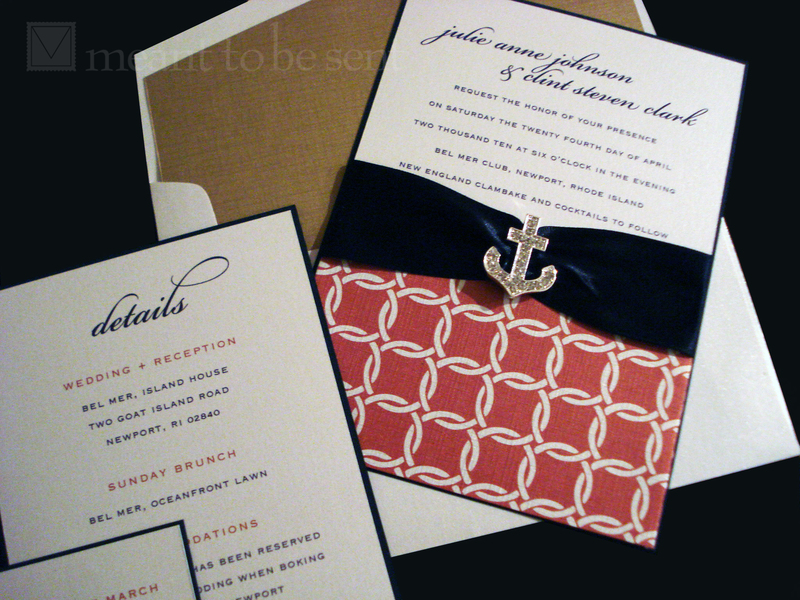 this chic design takes nautical to a whole new level! 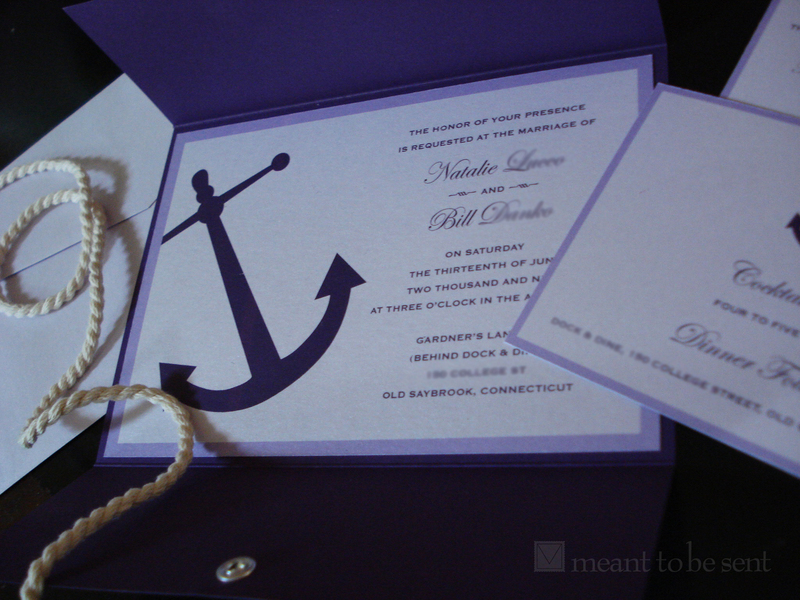 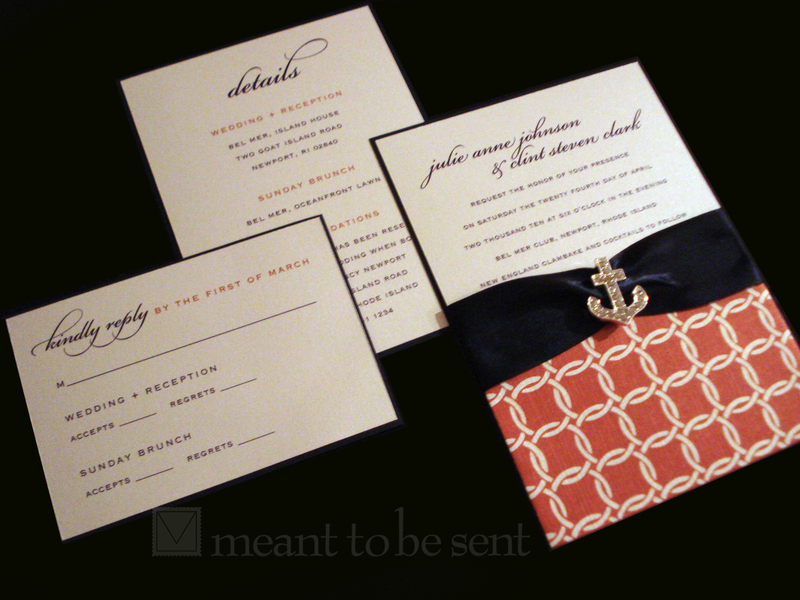 with shimmery paper, patterns, texture, luxe satin ribbon, and a crystal anchor your guests are sure to know they are in for a stylish party with a touch of glam. 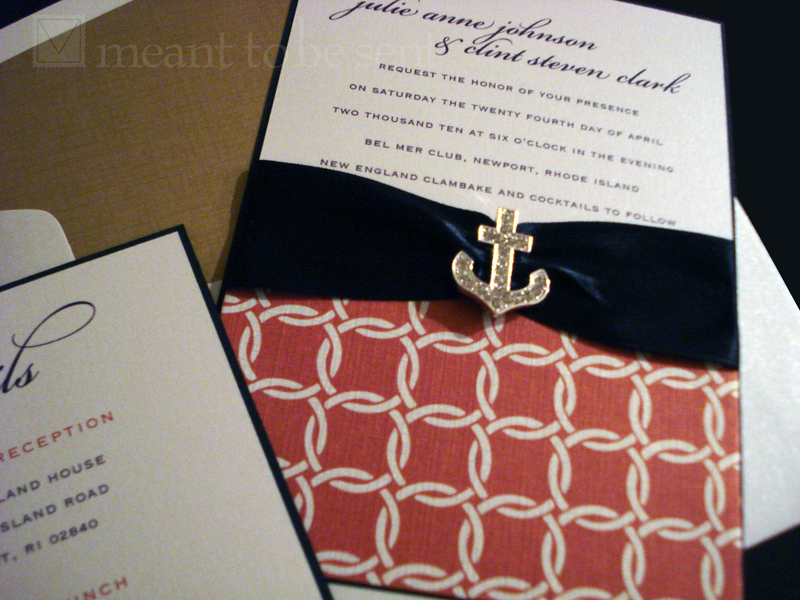 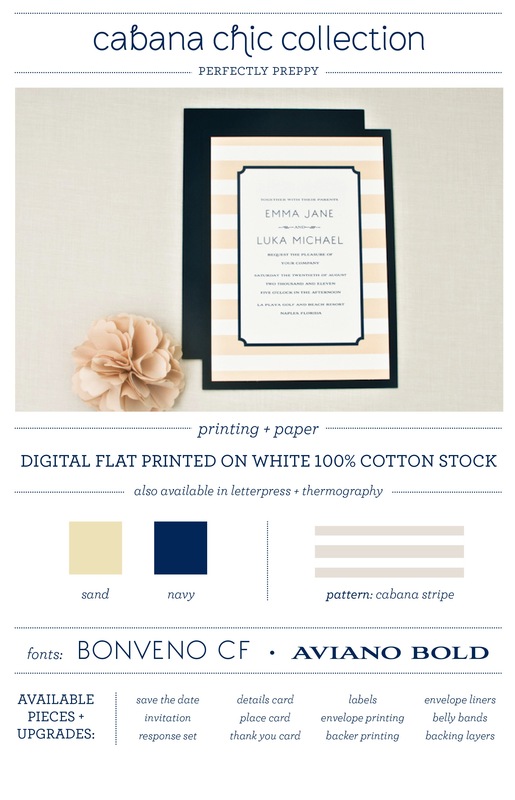 just perfect for a fabulously chic seaside or nautical wedding. 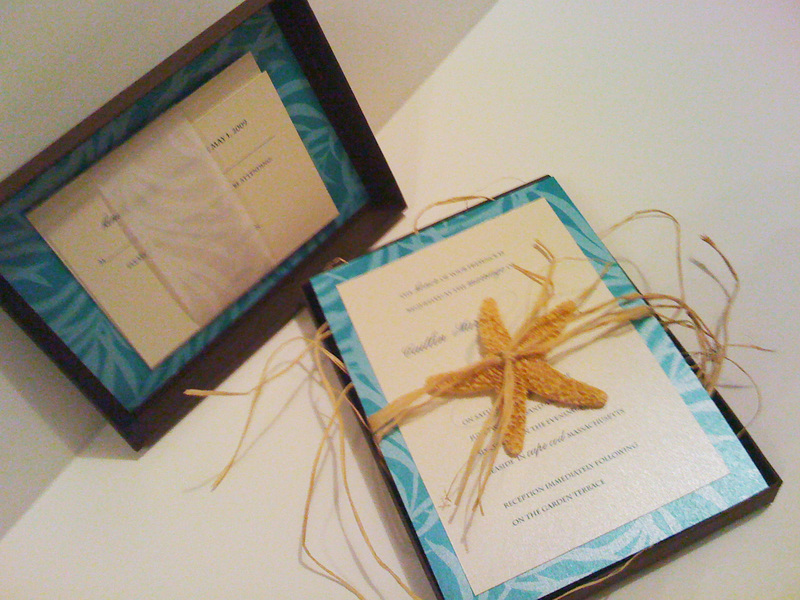 this inivte is sure to remind guests of the feeling of sand between their toes and the crash of ocean waves! 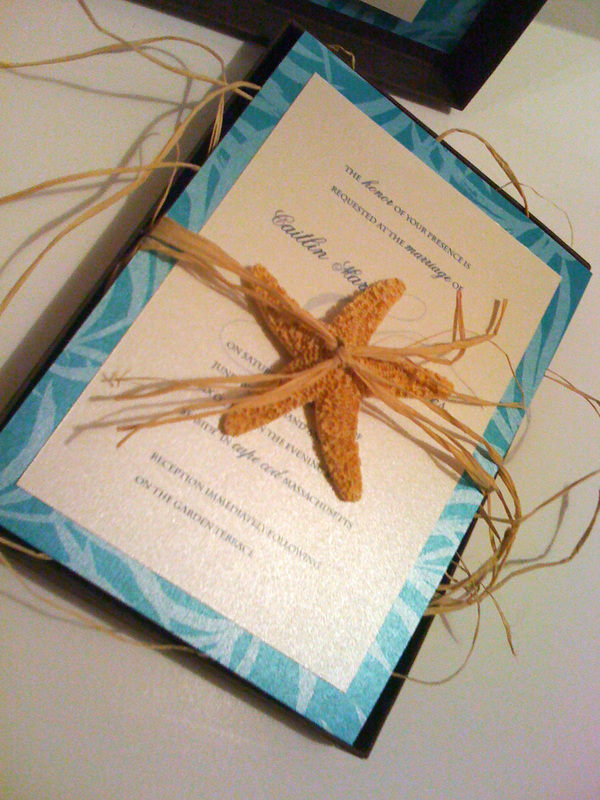 it is made with metallic cream and palm pattern paper with a starfish accent that doubles as a magnet that is finished with natural raffia ribbon. 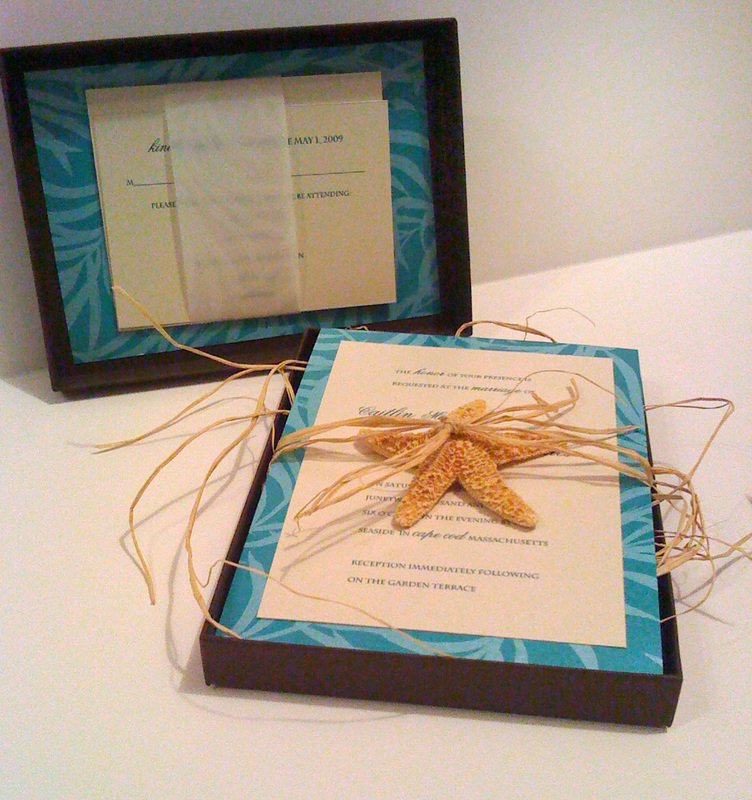 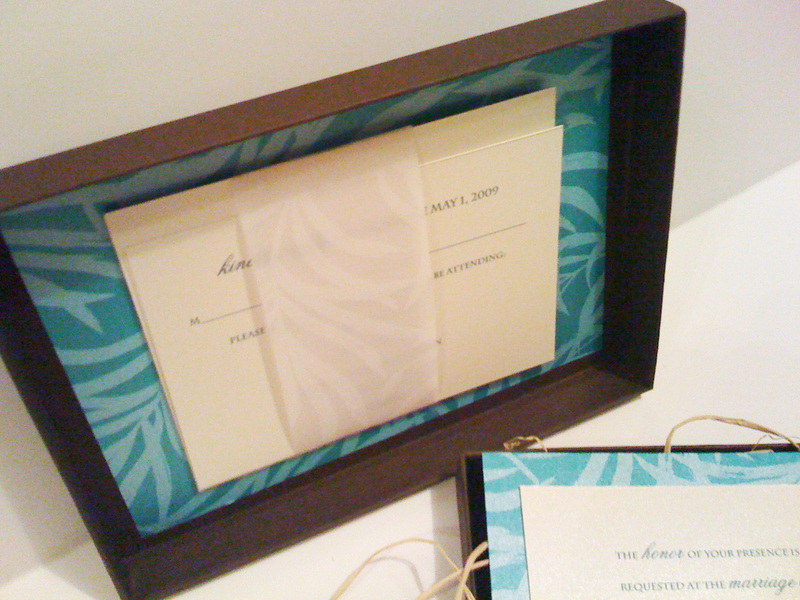 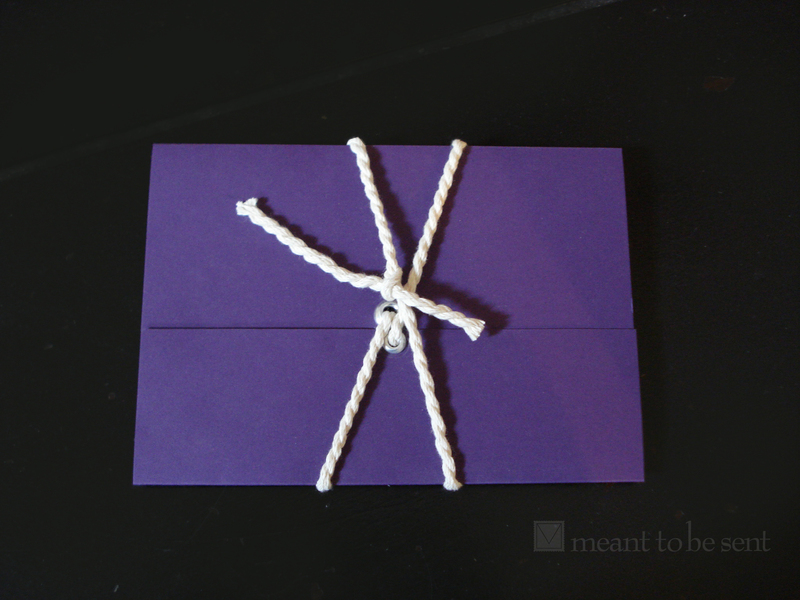 (also available without magnet) the inserts (rsvp postcard and events card) are secured to the lid of the box with a vellum band, and the layered invite is set on a bed of raffia and all is in a matte chocolate box that is finished with a custom label that seals the box so that it can be dropped right in the mail!